"Hello there. I just wanted 2 let you know that please stay away from the beaches all around in the month of July. 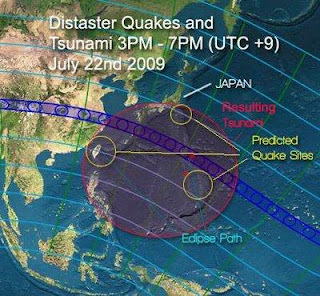 There is a prediction that there will be another tsunami hitting on July 22nd. It is also when there will be sun eclipse. Predicted that it is going 2 be really bad and countries like Malaysia (Sabah & Sarawak), Singapore, Maldives, Australia, Mauritus, Sri Lanka, India, Indonesia, Philippines are going 2 be badly hit. Please try and stay away from the beaches in July. Better 2 be safe than sorry. Please pass the word around. Please also pray for all beings." The attached image in the e-mail. Anyhow, I just want to remind the people out there that thing like this ain't funny! This is not the first time I received this kind of "warning notice". I still remember the incident few years back when people in Sabah was in chaos due to the rumor that a tsunami was claimed to be approaching and few places in Sabah were already flooded! I was at home watching tv that night and I received a text message from a friend telling me whether I heard about the rumor. Both my friend and I doubted it. 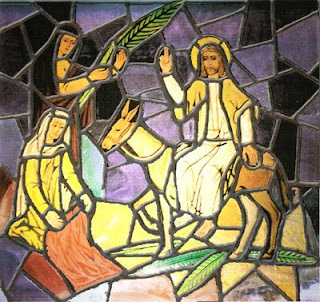 Today is the beginning of the Holy Week (for the Christians) a.k.a Palm Sunday. Read more about Palm Sunday here. So, I wish all the Christians Happy Palm Sunday!